A crew member just for you! Whether it’s a professional in-water guide, breakfast in bed, a fountain of marine-life knowledge or all of the above, your personal crew member ensures your holiday flows the way you want it to. From the moment you board until you wave goodbye, you can relax in the knowledge that all of your needs are taken care of. The best rooms on the boat. Spacious en-suite cabins with uninterrupted ocean views, crisp Australian bed linen, plush bath robes, towels and toiletries. Champagne and a fruit platter will await you upon arrival. *If you’re getting in the water, complimentary champagne will be served with your evening meal instead. An evening turn down service for your cabin. Towels and toiletries are replenished. Complimentary sunset cocktails. Appreciate ocean views from the sundeck or outdoor hot tub as you sip a chilled Australian cocktail while watching the sun set over the sparkling Coral Sea …the perfect setting for photography lovers! No need to check out early! On your day of departure Top Deck guests keep their cabin right up until the transfer vessel departs to take you back to Cairns. A Top Deck area reserved in the Captain’s wheelhouse for your journey to and from Reef Encounter, on our transfer vessel Reef Experience. No need to worry about space for you and your luggage, it’s taken care of with our exclusive seating arrangements. 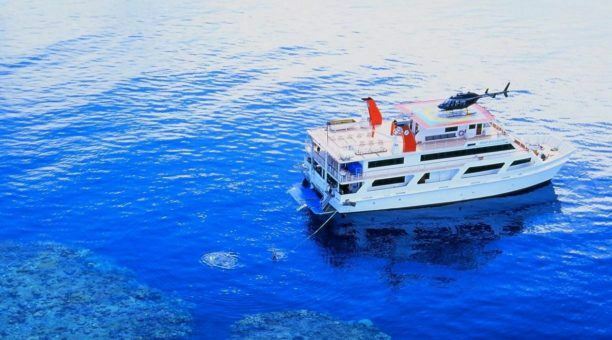 Cairns liveaboard 4 Day Top Deck Certified scuba Dive – Includes 11 day dives & 3 night dives at beautiful Outer Great Barrier Reef locations. A great choice for certified scuba divers. The duration of this tour is 4 days (3 nights). Want some extra special care and attention? Top Deck Club is a reef trip with a personal twist! Providing an unbeatable level of customer care the Top Deck package comes with loads of included benefits as well as a dedicated personal valet. Great for couples looking for the ultimate getaway break, group parties who like a bit of TLC or for those who’d appreciate the personalized in-water care. Children with a scuba dive certification can partake in this package. Thankyou for choosing Reef Encounter for your liveaboard tour of the Great Barrier Reef! We accept Visa Card or Mastercard. - Please inform of dietary or other special requirement prior to date of travel. Please inform our friendly staff of your pick-up location. - Locations, prices and itinerary are subject to change due to unforeseen circumstances without notice but with full consideration for your enjoyment and safety. - Travel and dive insurance are highly recommended. - No refunds on uncompleted dives. - You will be required to complete a medical questionnaire before participating in any scuba activities. 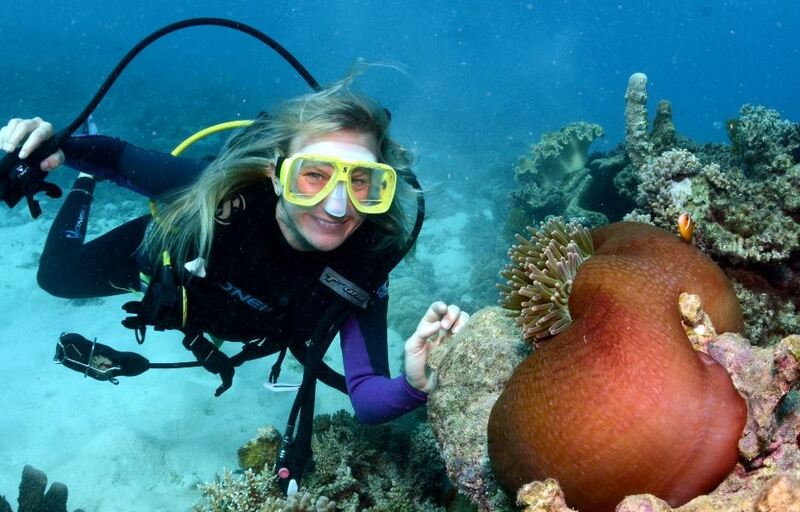 Some medical conditions OR medications may prevent you from scuba diving unless a current Queensland Diving Medical Certificate can be shown to the Dive Instructor. For example: heart disease, asthma, epilepsy or diabetes. If you are unsure of a particular medical condition or medication, please check with the dive organisation before booking your trip. Passengers intending to dive but restricted due to the aforementioned will not be offered a refund. - Please remember you need to allow 24 hours from your last dive before flying.